Bisexuals on Wheels - Roller Skating with BOP! (5622 W Lake St, Saint Louis Park, Minnesota 55416) for a fun night of roller skating! Let's wear bi flag colors (pink, purple, blue) or BOP shirts to find each other! Open to adults 20+, picture ID required. Roller Garden will be open to the public. Yoga, Pancakes, and More Coming This March! ​Hi BOP-ers! Hope you can join us for some fun and exciting events coming up next month! Mark your calendars and come build community with us! Do you love to read and talk about books? BOP's Bi+ Book Club is a place to read fiction, biography, creative non-fiction, history, theory, and activist works. Come discuss readings and ideas about, for, and by bisexuals and other non-monosexual folks. Hosted by Cary. Summary: Taylor, a queer Nigerian college student, is in a passionate relationship with Lee, a black American basketball-playing pianist. When Taylor develops romantic feelings for Sy, a Cameroonian photographer whose similarities make them instant family, Taylor battles Lee’s jealousy. As Taylor encounters challenges to her femme and African identities, she finds ways, through the kinship of her friends, to define herself on her own terms. For Sizakele addresses transcontinental identity, intimate partner violence, queer gender and how we love as illuminators of who we are. BOP is sponsoring this event and is able to offer a sliding scale to make this event financially accessible to all of our bi+ community members. Leah will be at check-in to assist you. YogaQuest is unlike any yoga class you may have experienced before! It is a unique blend of yoga and fan-fiction storytelling. Your quest is guided by a narrator and a certified yoga instructor, as the class embarks on an epic, and often ridiculous, journey through a popular fandom. Move through the story by following a yoga routine designed to improve strength, balance, and flexibility. Pose nerdy with us! This class is appropriate for all body types and experience levels. Bring a water bottle and come dressed to move. Don't have a mat of your own? We have mats and props available to borrow for class. Celebrate pansexuality with BOP and FREE pancakes at The Nicollet Diner! A buffet of pancakes and toppings will be available from 10:00 am to 1:00 pm in the back room (look for the flags!) with milk and/or orange juice included. You may order other food or beverage items if you choose, but they will be pay-your-own-way. You don't have to be pansexual to attend - all pancake lovers are welcome! It was my plea sure to meet Micah Lubensky at the BECAUSE Conference in November. He is the Study Coordinator for The PRIDE Study, a research study concerning the physical, mental and social health of lesbian, gay, bisexual, transgender queer, and other sexual and gender minorities. Our LBGTQ community faces health and healthcare inequities because previous population studies do not reflect sexual orientation and gender identity data. So researchers are hampered by the lack of this data in understanding disease and risk factors among queer folks and this effects treatment and care of our community. The researchers are themselves queer, and have a history of treating our community in San Francisco. Dr. Mitchell R. Lunn, Assistant Professor of Medicine, and Dr. Juno Obedin-Maliver Assistant Professor of Obstetrics and Gynecology and Reproductive Sciences at University of California in San Francisco, are Co-Directors of The PRIDE Study. It is being funded by Patient-Centered Outcomes Research Institute of UCSF. It is a partner of All of Us, a National Institute of Health study recruiting 1,000,000 participants to accelerate research and improve health by looking at lifestyle, environment and biology, in order to provide precision medicine. Micah was at the BECAUSE Conference to recruit participants to join the study and answer any questions they may have. If you choose to join you will fill out a profile section on your identity, race/ethnicity, medical problems, surgeries, medications, sexual and reproductive health histories. Next youâ€™ll be asked to fill out a series of surveys about physical, mental and social health, your social supports, diet, exercise, alcohol and tobacco consumption, your experiences with access to health care, cancer screening and costs incurred for healthcare. There will be sensitive topics like illegal drug use, violence or trauma and mental/behavioral issues. When asked about the importance of long term commitment and participant disclosure, Dr. Juno Obedin-Maliver said, â€œThe PRIDE Study has the potential to change LGBTQ+ health by bringing visibility to the question of â€œhow is oneâ€™s health influenced by their sexual orientation.â€ Certainly, exploring if and how LGBTQ+ experience poor health outcomes like cancer, heart disease, or asthma are of keen interest, but we also we want to understand how people live their lives and thrive! LGBTQ+ people are different -- and different can be good. We think this study can bring lots of insight into how LGBTQ people survive and thrive in the world! BOP's Second "Bi-lesque" A Sold-Out Smash! "Bi-lesque: Under our Umbrella" premiered on January 13th at LUSH in northeast Minneapolis. It was the second successful show produced by BOP board director Shawna McNamara, with help from other members of the BOP board. Bi-lesque was a night of entertaining activism to increase bi-visibility and celebrate bi-diversity and bi-identities.It was designed to be a space for everyone under the bi umbrella, in order to meet each other and build community. The aim of the organizerâ€™s was to present non-monosexual performances, where audience and participants can be their true authentic selves, without the harassment, code switching and anxiety of other venues where bi erasure and biphobia are prevalent. Everyone was encouraged to be vocal and display their pride in being bi. 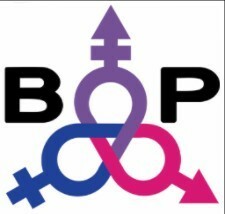 As part BOPâ€™s agenda to address social justice the event was welcoming and inclusive of everyone, like people of all gender identities, sexual orientations, sexes, relationship orientations, ethnicities, abilities, religions and political affiliations. Performers included Marcel Michelle-Mombama,who also emceed, Sweetpea, Redbone,Joy Coy, Stella Rosa, Vod Sinclair, Blaze Bordeaux, Jean Luc Dicard, Deeva Rose, Coco Dupree, and Seebie Sparklhaus. The show also featured a group number from Expertease Fitness, and an â€œAquariusâ€ group number created by Coco Dupree. If you missed the show, you can still donate or sponsor the production, just contact shawna@biorgproject.org. Announcing BECAUSE 2018 at Wellstone Center in St. Paul, Minnesota October 12-14! Visit www.becauseconference.org for to sign up for updates! BECAUSE 2017 took place November 10-12 at Metropolitan State University in St. Paul, Minnesota. 2017 was the 25th anniversary of the first BECAUSE, and the theme was â€œComing Home: A Bi+ Past, Present, and Futureâ€. Attendees came from all around the country for a weekend of workshops, keynote speakers, community building, and fun activities! This year we gathered once again to remember where we have been, take in where we are and how we got here, and create our vision for the future. This is a time to take stock of where we come from, what we have left behind, and what we have gained. What spaces do we call home? What does returning there hold for us? Our journey is just as important as the destination. The conference was opened Friday night with the first keynote address of the weekend, by Jen Deerinwater. Jen (she/her and they/them) describes herself as Tsalagi-citizen of the Cherokee Nation of Oklahoma-multiply-Disabled, Bisexual, and Two Spirit, Hard Femme journalist, speaker, and organizer who covers the myriad of issues her communities face with an intersectional lens. They are the Executive Director of Crushing Colonialism, an Indigenous media project. Jen spoke about the history of native genocide in America, and how it is intertwined with and informs her lived experiences and activism work, and the revolution being led by the Two Spirit community. Jenâ€™s speech was followed by a debut performance of an original play written and produced by members of the Bisexual Organizing Project, called â€œ The School for Bisexuals; Or, the Biphobia of a Night.â€ The play was a profound, heartwarming, and refreshing addition to this yearâ€™s programming. Saturday morning began with a keynote session by Jess Annabelle (they/them), who gave an inspiring speech â€œstuffed full of comics and various interesting things such as their relationship with their mom, a high femme analysis of contemporary labor issues, living in between, under, and/or in fierce opposition to the gender binary, and your infinite potential to make the world a better place.â€ Jess is the Director of Programs and Operations with Innocent Technologies, a small business that helps people build better relationships with the people they serve. Innocent Technologiesâ€™ Constructing the Innocent Classroom program helps educators to liberate children of color from negative stereotypes, negative narratives and low expectations. Innocent Technologies also works to end racial disparities in funding and grant-making, in healthcare, and the workplace. The impact of this work was the focus of Jessâ€™ speech. On Saturday evening, Denarii Grace (she/her/hers) gave her keynote speech, titled â€œIn it for the Long Haulâ€, which explored how her multiple identities as a bi+, disabled, black, and proudly fat person have shaped her journey through academia, the trappings of a traditional â€œprofessional careerâ€, and finding herself through her own art and activism. Denarii's activism mostly focuses on bi+ (plus) identity, disability, Blackness, and fat acceptance; she also talks often about gender, class, and colorism and their intersections and connections to media, pop culture, and representation. Denariiâ€™s activism is mostly through her writing, music, and poetry. Saturday nightâ€™s community-building activities included speed-friending, a dance party produced by RARE Productions, games and crafts, and a cuddle party. The final keynote session of the conference took place on Sunday morning, which was a panel discussion featuring past, present, and future BECAUSE organizers. Speakers included Elise Mattheson and Sarah Weaver, who were both involved in the very first BECAUSE conference and itâ€™s early history. Camille Holthaus, who is a Co-chair of BECAUSE 2018, spoke about her involvement with BECAUSE over the past several years, including BECAUSEâ€™s hiatus and return. Sally Corbett, a 2017 Co-chair, spoke about their experience organizing BECAUSE as a first-time attendee. Throughout BECAUSE 2017, workshop topics explored many concepts related to bi+ identities, such as biphobia and bi invisibility, hypersexualization, navigating relationships, bi+ organizing and activism, and policy. There were also plentiful sessions about other identities and issues that are part of bi+ lives, such as gender, class, racial justice, health and healthcare, ability, polyamory, kink, and many others. Despite the many obstacles in challenges in organizing last yearâ€™s BECAUSE, it was considered to be an excellent experience by attendees and a great success by our community. We are already so looking forward to next yearâ€™s conference! The 30th annual Creating Change conference took place January 24 through 28 at the Wardman Park Marriott in Washington, DC. Creating Change is the annual conference of The National LGBTQ Task Force, which bills it as “the foremost political, leadership and skills-building conference for the LGBTQ social justice movement.” This year’s theme was “Learn. Connect. Grow.”, which outlined goals to attend to each other to learn more deeply how to effectively organize for change, build our communities and deepen our connections to each other, and resist the current administration’s onslaughts against LGBTQ people. BECAUSE’s 2017 Co-Chairs, AL Genaro and Sally Corbett, attended this year’s Creating Change. Over 4,000 attendees gathered for over 18 Day Long Institutes, specialized “Task Force Presents” programming, and approximately 250 workshops and caucus sessions. The conference also included three keynote plenary sessions, one of which featured Minneapolis’s very own City Council Ward 8 representative, Andrea Jenkins, who spoke on the importance of activism in a time of tyranny and fascism, and read an original poem. Other events included a Lobby Day at the Capitol, a protest-dance party at Trump Hotel, worship gatherings, a drag show, a fashion show, an art studio, a live music performance by Lex Allen, as well as multiple dances, receptions, and meetings. Wednesday’s day-long Racial Justice Institute allowed participants to reflect on and explore ways to inject racial justice practices and strategies into their work. There were program tracks specifically for white folks and for people of color, which were further divided into “first-timer” and “returning attendee” sessions. These tracks were followed by afternoon breakout sessions, which encompassed topics such as dismantling white supremacy on an organizational level, facilitating conversations about race, healing internalized oppression, and intersections between racial and queer identities. “Balancing the Bi: Wrestling with Multiply Marginalized Identities in Non-Monosexual Spaces” was Thursday’s day-long bisexual+ institute. This year’s theme was conceived to explore how multiply marginalized bi+ people face the difficult choice of splitting their identities among the many lived experiences they carry with them, and how it can be hard to justify picking bi+ spaces when we’re heavily weighed down by white supremacy, class oppression, gender violence, and ableism, among other things.The day started off with breakfast and community-building activities, followed by group discussions about bi+ history, language, and terminology. After a break for lunch, participants attended breakout caucus sessions to explore other held marginalized identities, and how they related to experiences as bi+ folks. Caucus topics included race, gender, disability, trauma, media representation, domestic violence, mental health, and spiritual health. Bi+ specific programming was well represented this year throughout the conference. On Thursday evening, there was a screening of bi+ activist and educator Dr. Herukhuti’s new documentary, “No Homo, No Hetero: Sexual Fluidity and Manhood in Black America”. A follow-up workshop took place on Sunday, titled “No Homo, No Hetero: Using Socially Engaged Art about Bisexuality in Black Communities”. Furthermore, bi+ elder Loraine Hutchins was featured on a panel about “Histories of Activism and Resistance” to address bi+ specific history. Other bi+ specific workshops included “Invisible Majority: The Disparities Facing Bisexual People and How to Remedy Them”, “Beyond Binaries”, “Media Essentials for the Bi+ Community”, “All Bi Ourselves: Improving HIV Prevention, Treatment, and Care for Bisexual Communities”, and “Seriously, You Should Include Us: Bisexual+ Advocacy for LGBT Organizations”, which featured BOP’s Sally Corbett as a presenter. In addition, a Bi+ Hospitality Suite was open all conference long, which was a safe space for bi+ folks to take a break, meet and hang out with other bi+ folks, and grab a bite to eat. Overall, Creating Change 2018 was an exciting, educational, and enriching experience. Much was learned, many connections were made, and the flames of resistance were fanned. 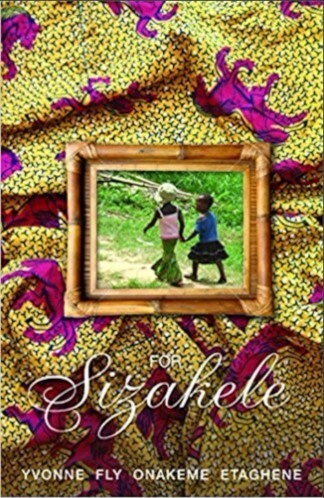 The Bi+ Book Club reading for March will be "For Sizakele" by Yvonne Fly Onakeme Etaghene. BOP's 2018 annual meeting and board elections took place on Sunday, January 21 at the North Regional Library in Minneapolis, MN. Lunch was provided for attendees during a social hour that preceded the annual presentation. The annual presentation was given by BOP Board Chair Leah Yoemans, which gave an account of BOP's activities and accomplishments in 2017. It also outlined BOP's mission, vision, history, and organizational structure, for new members. After the annual presentation, BOP Treasurer Whitney O'Keefe gave the annual treasurer's report. This was followed by the board elections. This year BOP welcomes two new directors-at-large, Jeff Burfeind and Jessie Miller! Let me introduce myself, my name is Cary Crawford, and Iâ€™ll be the editor of the BOP newsletter for the duration of the ride. I hope you enjoy reading about our various activities and personalities, Iâ€™ll try to feature an interview with a BOP board member, and a BOP member profile, info about all our activities that we offer for member participation, upcoming events, and features on BOP allies. Iâ€™d also like to include member poetry and creative writing, artwork, and photos.So send me yours. Let me know if you want to interview and write an article, or edit anotherâ€™s writing. Right now itâ€™s just me and Sally Corbett. Iâ€™ll try to get this newsletter out quarterly, with a special editions dedicated to the BECAUSE conference and PRIDE weekend. If you think youâ€™d like to help out or include your work contact me at cary.crawford@bisexualorganizingproject.org, Iâ€™d love to see what youâ€™ve got for me.